In lieu of today being Friday the 13th, I'm going to share something scary (well, air quotes, "scary") that happened to me this week. Jon and I were walking our dogs before bed one night. We cut through the Kroger parking lot so I could throw Newton's poop bag away in the trash (sorry. 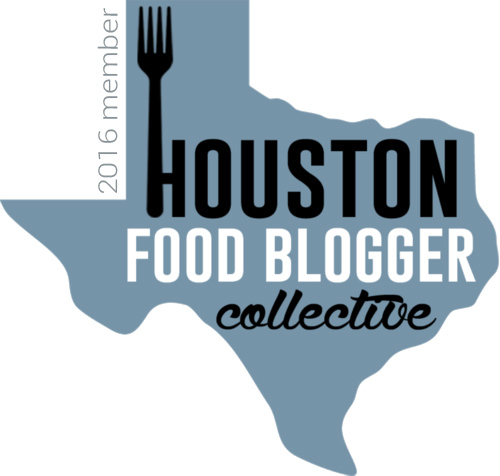 food blog), when all of a sudden I stopped dead in my tracks. Kim: COME OVER HERE RIGHT NOW. Kim: IS THAT A DEAD SNAKE ON THE GROUND???? Jon: Yep, that's a dead garden snake! Jon: (laughing) Kim it's dead! Kim: BUT WE LIVE IN THE CITY! THERE ARE NO SNAKES HERE! Jon: We have grass here! Kim: We live in Houston! The country's 4th largest city! The grass here isn't REAL Jon! Jon: That's... definitely not true. And we're surrounded by bayous, what do you expect? Kim: So now I have to watch out for snakes when cutting through the Kroger parking lot??? I AM NEVER SLEEPING AGAIN. No one is safe, people. Last week after playing kickball on one of Houston's (air quotes) "grass" patches, Jon and I headed over to Wakefield Crowbar in Oak Forest with some of our teammates for food and drinks. 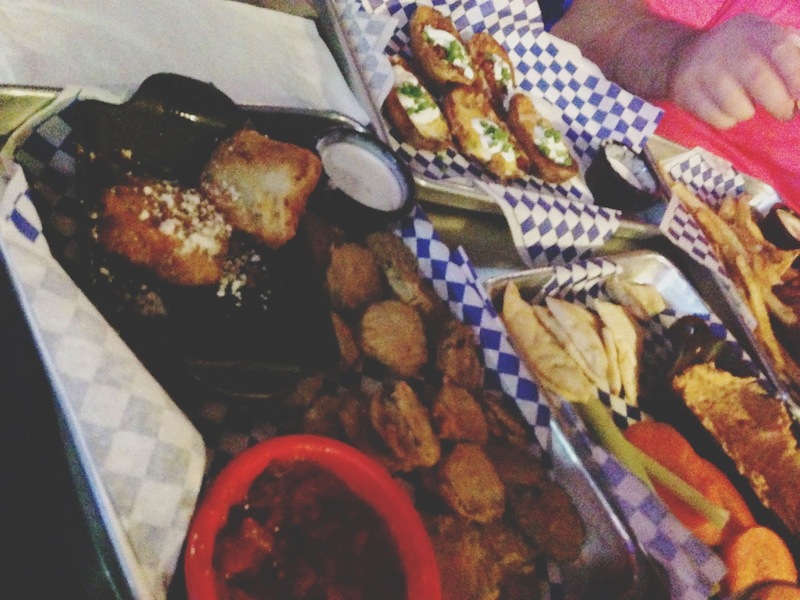 We ordered fried pickles, fried mozzarella, potato skins, and hummus & veggies to share with the table. 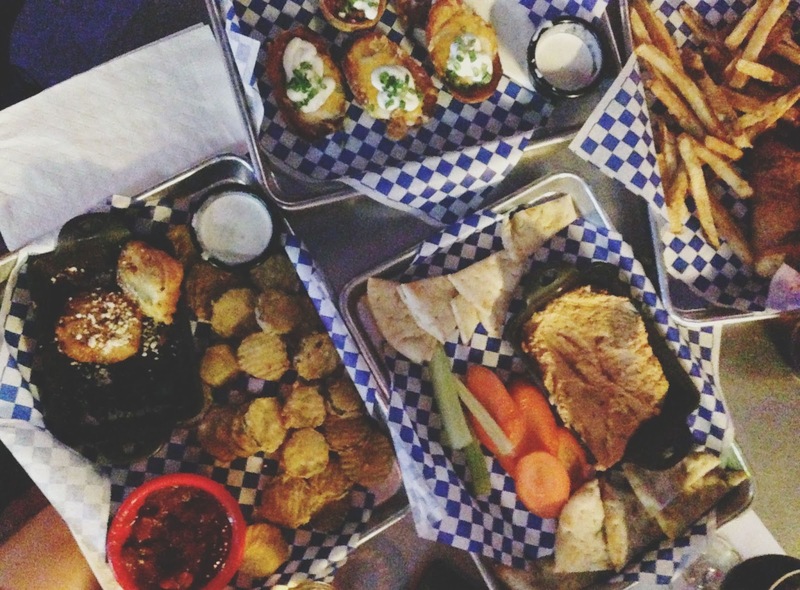 In my running list of "Reasons to Live in Houston," I'd have to say fried pickles has had a consistent, snug spot in the top 10 (which used to be right next to fake grass of course, but that was during my blissfully ignorant previous state of existence). 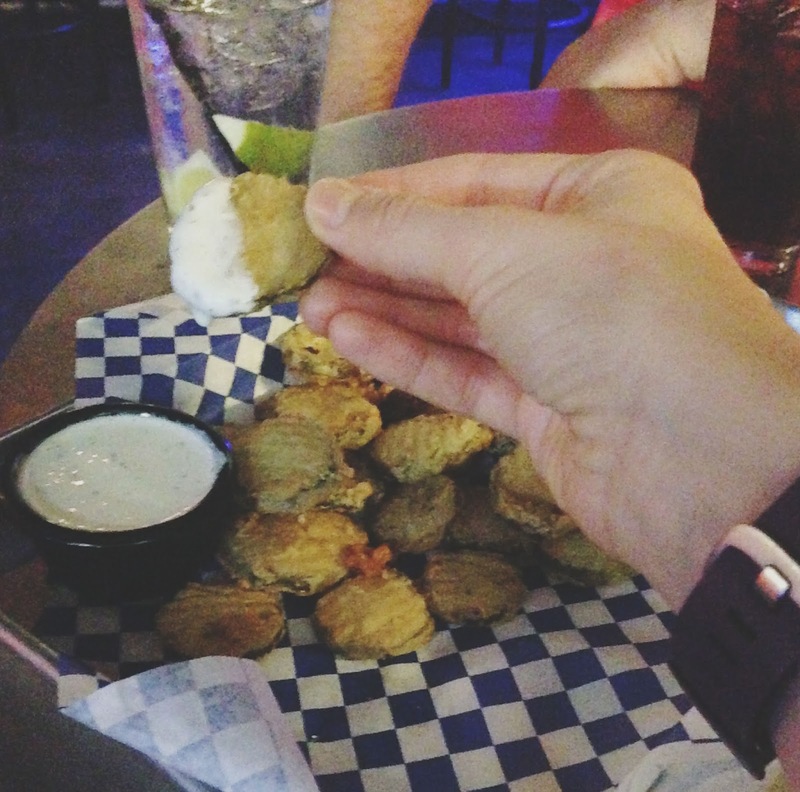 And these fried pickles surely did not disappoint. In chip form, these golden, Lonestar beer battered, fried beauties were more on the sour side, which was a welcoming change of pace. I was a big fan! The fried mozzarella appetizer (sorry, the only picture I took was horrific, and it ended up on the cutting room floor) was also unique in that it came in the form of four large squares, instead of your usual sticks. The hearty squares were super crispy and filled to the brim with oozing mozzarella. The homemade marinara served alongside the squares was warm and not overpowering in flavor. 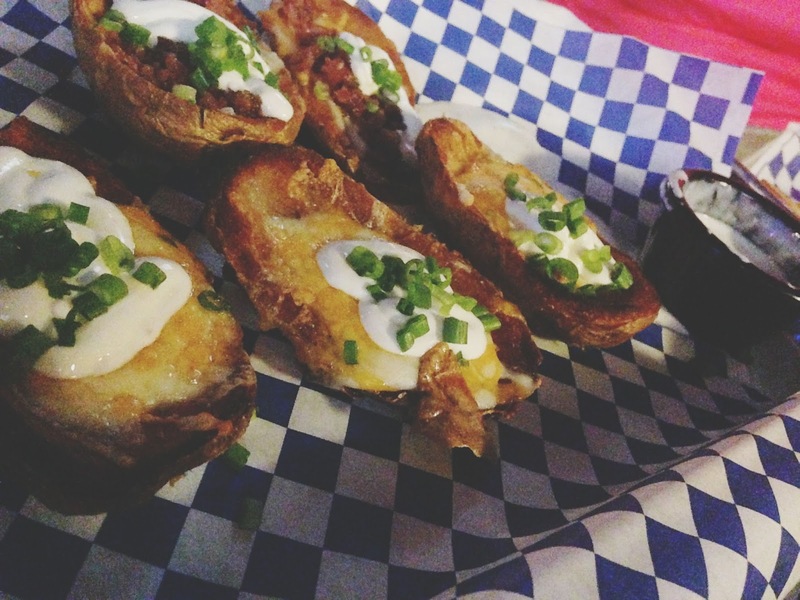 I didn't go nuts over the potato skins, but then again my portion of them didn't have bacon, so yes this was basically my fault. Without the bacon to cut through, they were a little too heavy on the starch. They weren't bad - I certainly still ate some, but I probably shouldn't have messed with perfection! Lesson learned. The large portion of hummus, served with vegetables and warm, fluffy pita bread, was quite satisfying. The slightly tart hummus had a chunky texture (I love textured foods) and a surprising kick of heat towards the end of every bite. Nothing revolutionary, but it definitely differed from the norm and was well received by the table! 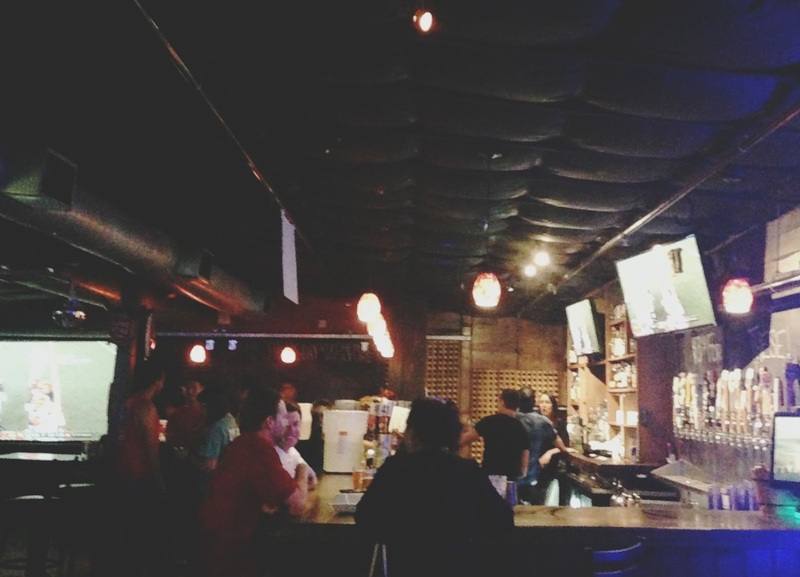 Wakefield Crowbar is a super laid back, spacious neighborhood bar. It also has volleyball courts out back, which can definitely make for a good time! 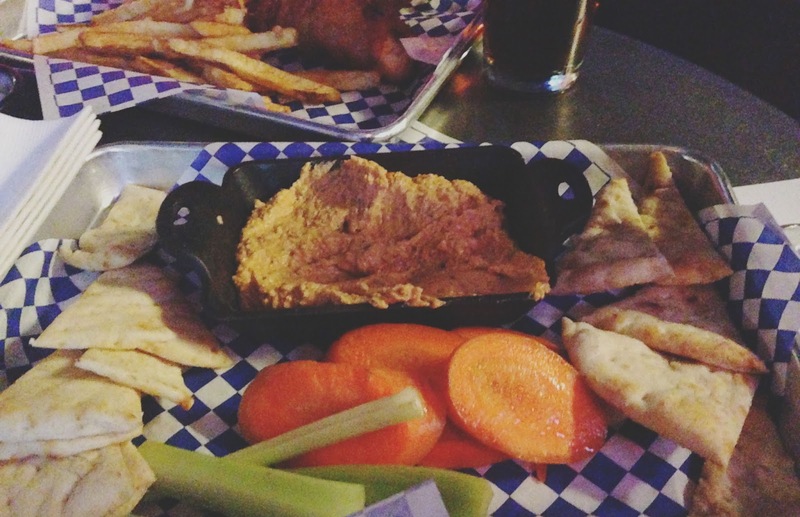 I know I say it all the time, but Houston bars cannot afford to serve mediocre food since there are so many great options around, like Wakefield Crowbar. Wakefield Crowbar offers your standard pub fare at a reasonable price, and the food is of good quality, with a few unique twists thrown in! Bonus: No (air quotes) "grass" pictured. We're at Crowbar all the time! The boyfriend is obsessed with volleyball. And I'm always pretty impressed with their food! Their sweet potato fries are pretty on point!